'10 Oldenburg colt by Wolkenlos/Wolkentanz II out of Vikki (Joshua/Roemer). 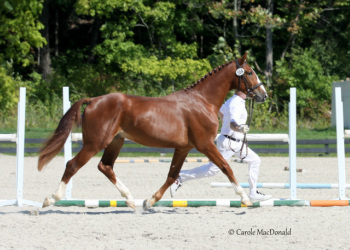 Superb gaits, sweet disposition, and flashy markings. This guy will get you noticed! 2011 Oldenburg filly by Freestyle and out of Donnerstrahl. Well balanced, attractive, elegant, refined filly. Extraordinary quiet temperament. Shown very successfully in hand by junior handler. 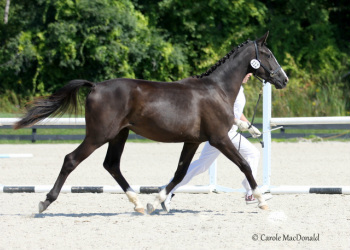 2015 Hanoverian colt by Danciano out of Flora Fina/Freestyle.